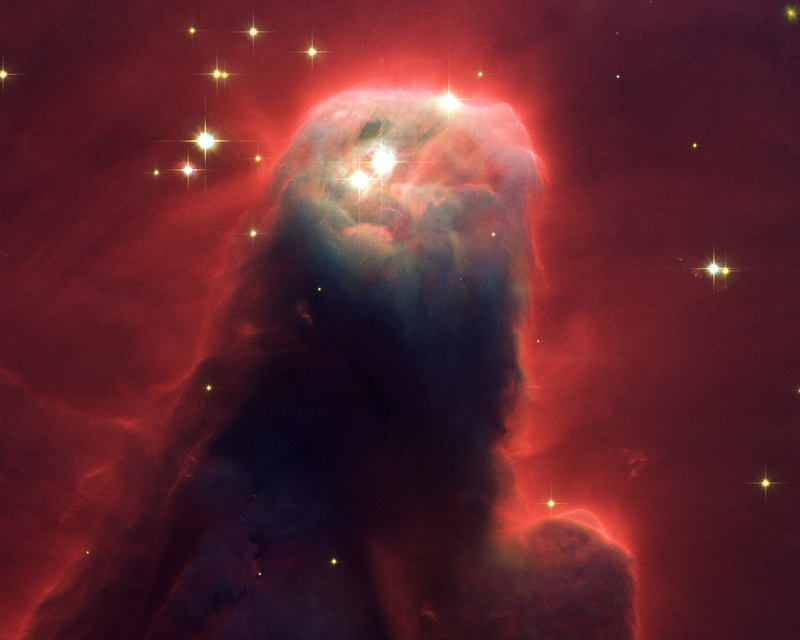 Resembling a nightmarish beast rearing its head from a crimson sea, this celestial object is actually just a pillar of gas and dust. 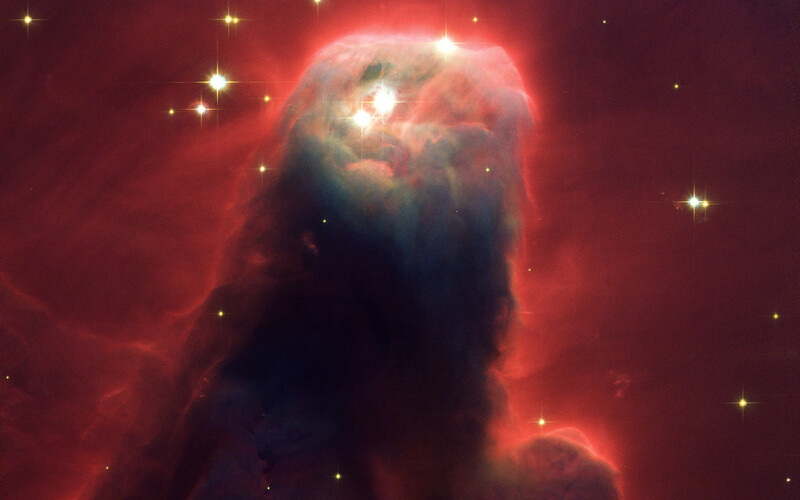 Called the Cone Nebula (in NGC 2264) - so named because in ground-based images it has a conical shape - this monstrous pillar resides in a turbulent star-forming region. This picture, taken by the newly installed Advanced Camera for Surveys (ACS) aboard the NASA/ESA Hubble Space Telescope, shows the upper 2.5 light-years of the Cone, a height that equals 23 million roundtrips to the Moon. The entire pillar is seven light-years long. The Cone is a cousin of the M16 pillars, which the Hubble telescope imaged in 1995. Consisting mainly of cold gas, the pillars in both regions resist being eroded away by the blistering ultraviolet radiation from young, massive stars. Pillars like the Cone and M16 are common in large regions of star birth. Astronomers believe that these pillars may be incubators for developing stars. Position (Dec): 9° 25' 36.59"